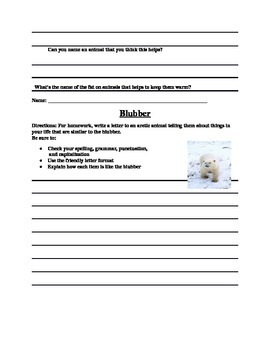 Students will be able to explain how blubber is an adaptation for animals that live in cold weather. 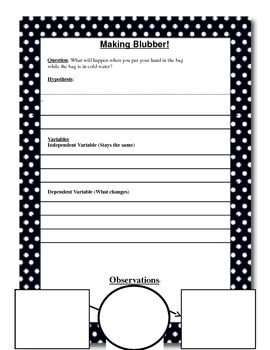 Students will be able to carry out an experiment and identify the hypothesis, independent variables, dependent variables, observations, and conclusion. 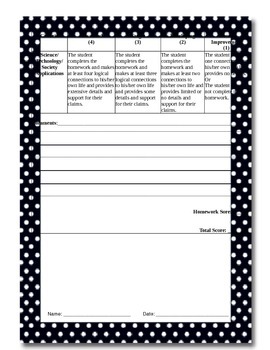 Includes: lesson plan, materials, procedure, rubric, worksheet, graphic organizer, homework assignment.